Known for gaming peripherals, Razer has added a new controller for Xbox One and PC that may be the most customizable controller ever released. 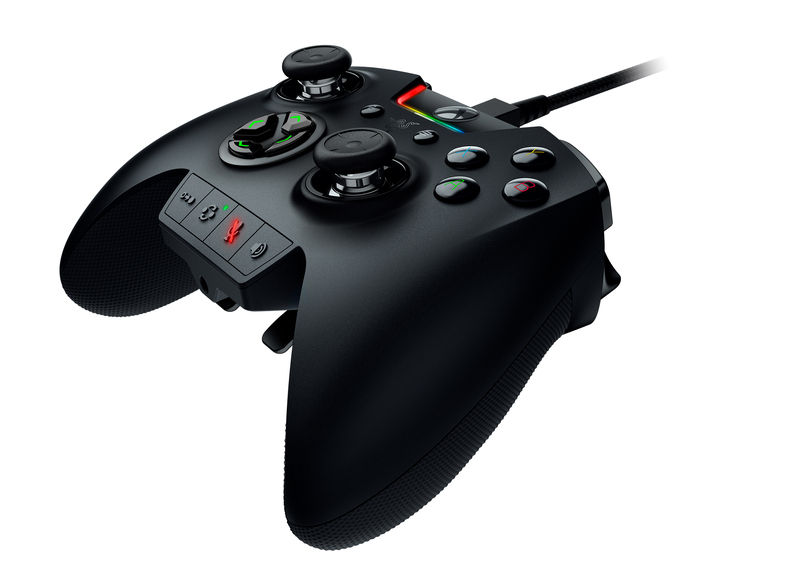 The Razer Wolverine Ultimate includes two interchangeable D-Pads, several thumbsticks to choose from, and six buttons and triggers that can be mapped for any desired action. Integrating with Razer Synapse software, full RGB lighting is controllable with a variety of preset styles that range from solid colors to more advanced color cycling and breathing effects. The Wolverine Ultimate also supports the Razer Chroma SDK for Xbox One which will allow developers to make use of lighting effects on the controller to match gameplay. Besides an array of customizable buttons and triggers, the controller also includes a 5mm audio jack for stereo audio output and microphone input. A detachable 10-foot Micro-USB braided cable with quick release is included for charging the controller. Weighing in at just over half a pound, the controller should have a solid feel without being too heavy for prolonged use. A carrying case is also included with the controller should you feel the need to travel with it or just have a protective covering for storage of an expensive peripheral. The Razer Wolverine Ultimate will be available beginning in September 2017 from razerzone.com and will carry an MSRP of $159.99. A standard one year warranty is included.